One day after the Facebook IPO opened on the stock exchange in 2012, founder Mark Zuckerberg and his now wife, Dr. Priscilla Chan, walked down the aisle. While many wondered what the couple received as wedding gifts – what can you really get for a billionaire CEO anyway – others were pondering if the couple had or had not agreed to a prenuptial agreement, more popularly known as a pre-nup. While the public will likely never know, as these issues are not generally revealed to the public unless the couple divorces, many high-profile lawyers are more than likely thinking about the possibilities. Why are Prenuptial Agreements Important? Many divorce attorneys have weighed in on this subject already, with all of them stating that if Zuckerberg was their client, they would have advised him to have the pre-nup he may well have declined. This assumption is based on Zuckerberg’s overall laid back attitude and the fact that he has always paved his own way and redefined what it means to be the CEO of a large corporation like Facebook. Additionally, since the opening of Facebook on the stock exchange occurred before Zuckerberg got married, a pre-nup may have not even been needed to protect a large majority of his wealth. The reason for this is the fact that Zuckerberg’s earnings up until he got married, which included the 60 million shares exercised to the IPO, would be considered pre-marital property. 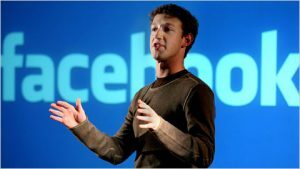 While the state of California, where the Zuckerbergs live, is considered a “community property” state as opposed to a “equitable property” state, the laws regarding pre-martial assets are generally the same in every state. As long as Zuckerberg can keep the Facebook IPO money separate from other property that could be considered marital property, it would be easy to ensure this money remained non-marital. A pre-nuptial agreement is a valuable asset for those who need one, and it can help to set property rights during the couple’s marriage, provide clarity for both parties as to what they can expect should they get divorced, and set up the maintenance or support rights that can be enforced after the marriage has ended. This type of document can help couples avoid a lengthy, painful, and expensive divorce since the parameters of how marital assets are to be shared is already set. It is important, however, to remember that pre-nups can help with financial issues, but they cannot help with child custody issues.